Dr. Mandy Maneval is a board-certified family physician who has been practicing since 2006. Dr. Maneval joined Family Practice Center in 2008 where she sees patients at the Mifflintown location. 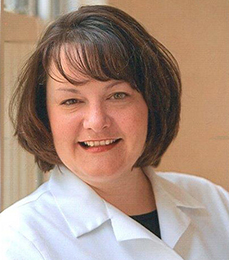 Dr. Maneval was born in Lewisburg, PA and raised in Richfield, PA. She has been married to Rob for 11 years, with two children in heaven and one son, Ivan. In addition to her role at Family Practice Center, Dr. Maneval runs a nonprofit organization – The Smallest Gift – which ministers to other families who have lost an infant. She loves spending time with family and being outdoors hiking, walking, or gardening. Other hobbies include photography and digital scrapbooking.